View More In Video & Electronic. Baddie King Viking is tired of always losing to hero Super Rabbit Boy. So he's gone to the Secret Lands to search for the legendary Super Power Up, which has powers even Super Rabbit Boy won't be able to defeat. But Super Rabbit Boy is determined to stop King Viking. Can he navigate through the Secret Lands, locate the hidden dungeon, defeat the mini bosses, and claim the legendary Super Power Up before King Viking does it first? 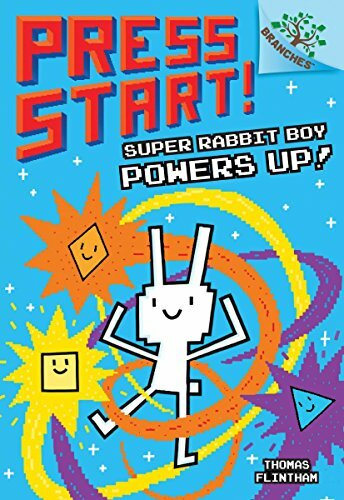 With danger everywhere, this may be the most difficult quest yet for Super Rabbit Boy. With full-color art on every page by Thomas Flintham!